This national park is very rich in flora and fauna. 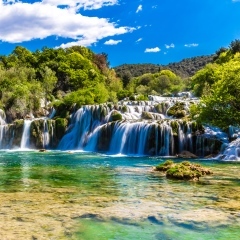 It is known for beautiful waterfalls, and the most famous are Skradinski buk and Roški slap. You can explore the park using boat or on foot, walking over wooden bridges. 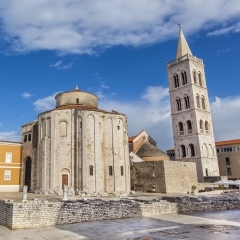 Zadar is a historical city about 45 km north from the camp. It is known for rich cultural heritage and historical monuments. The city is also known for an unique attraction: sea organ, the first in the world. 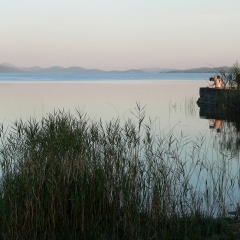 The largest lake in Croatia is also special Ornithological Reserve. With over 200 bird species who make it their home it is is a unique natural monument to bio diversity. This gothic-renaissance cathedral from 15th century is listed on UNESCO’s World Heritage list. 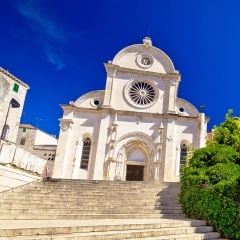 It was built entirely from stone by famous Juraj Dalmatinac as an unique example of renaissance realism in world architecture.